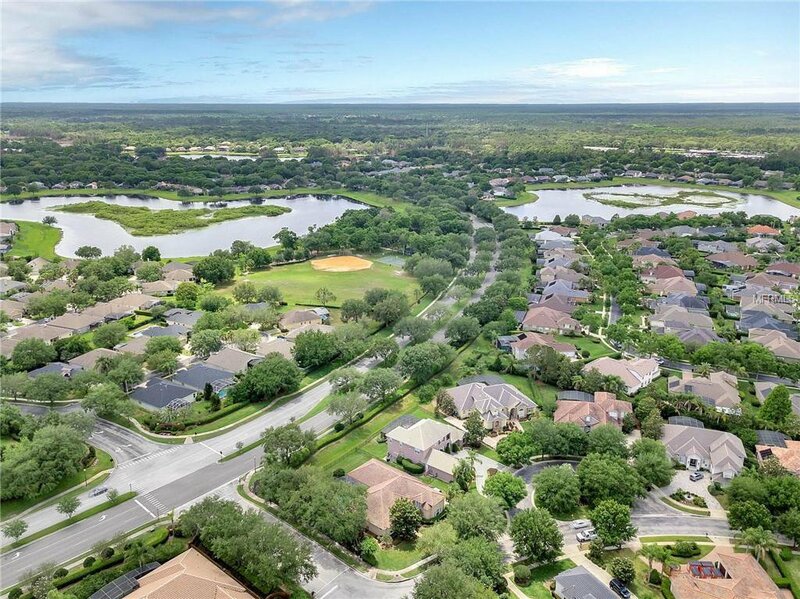 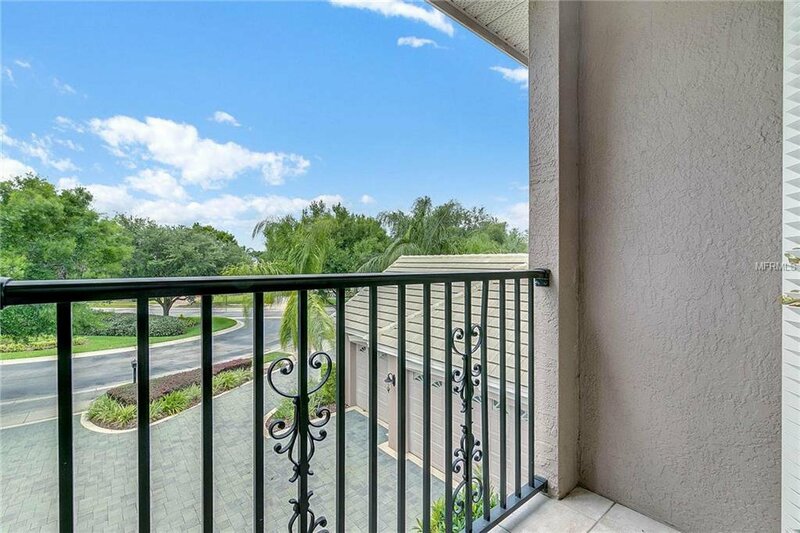 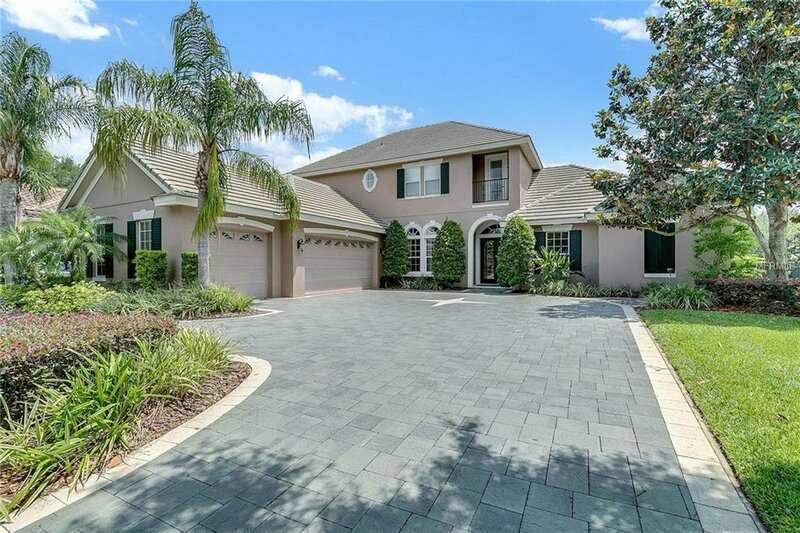 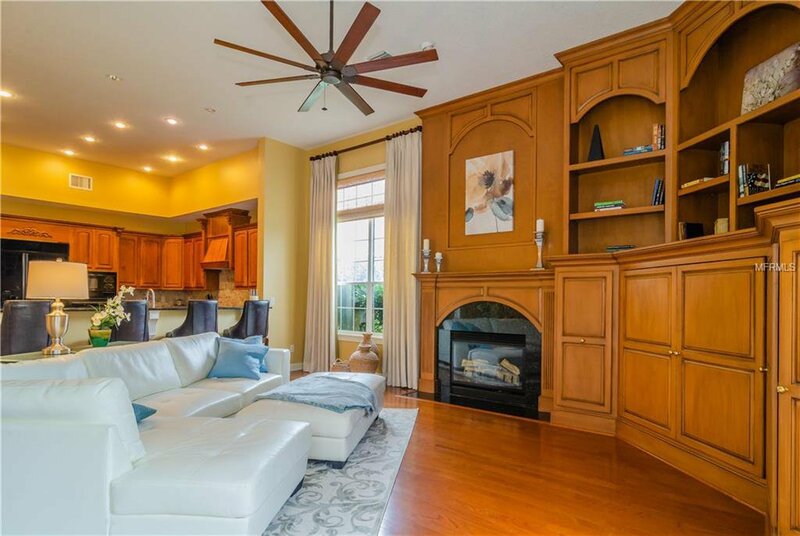 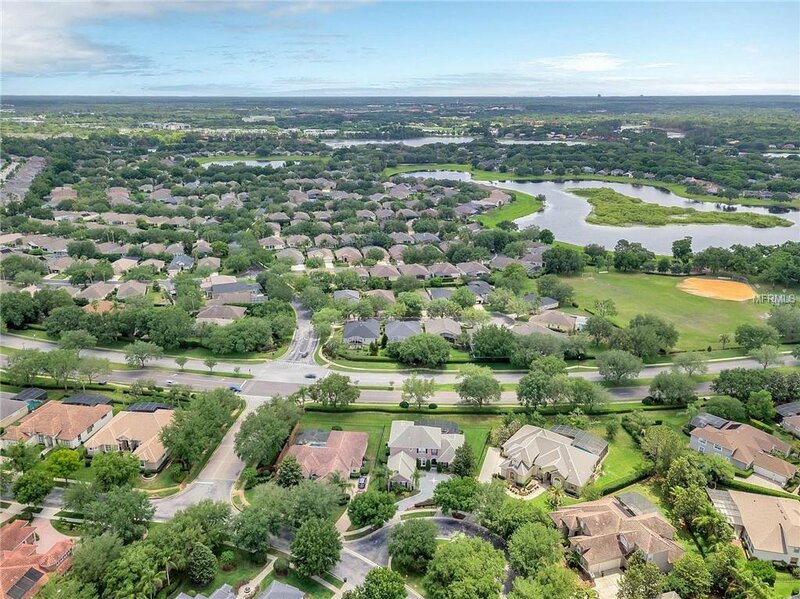 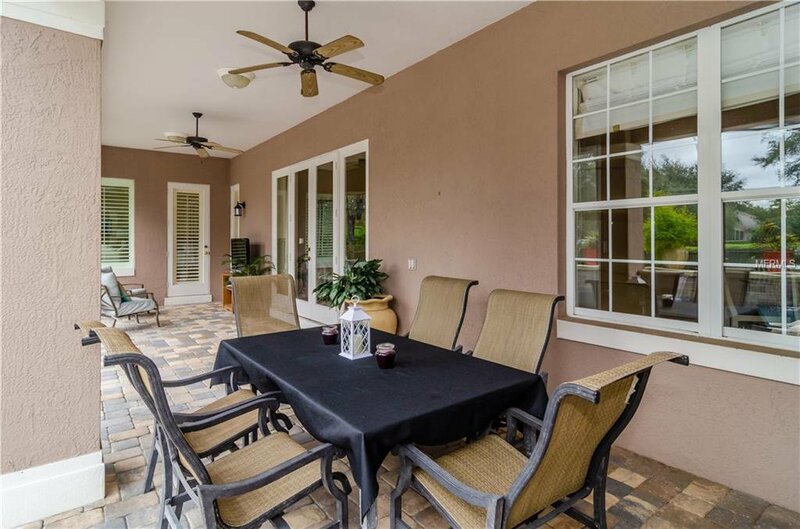 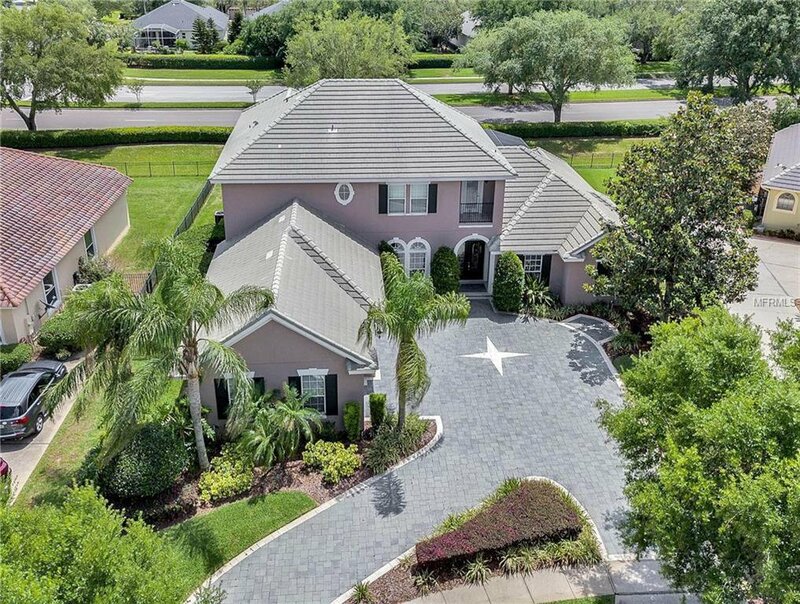 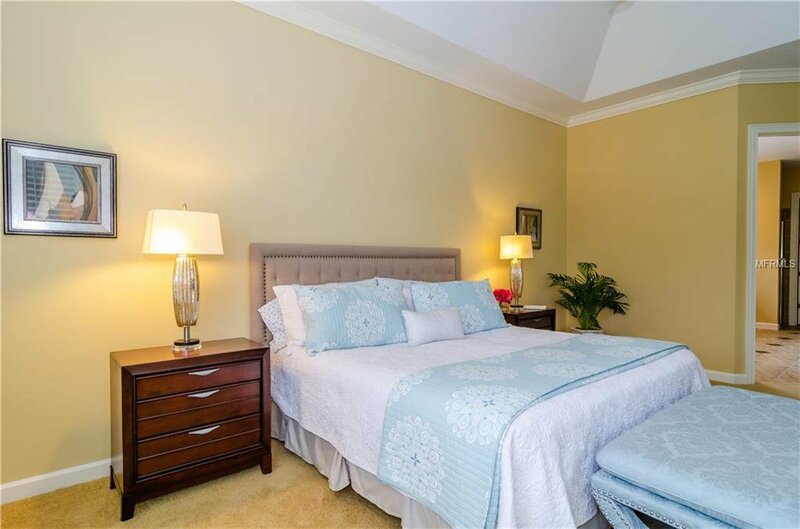 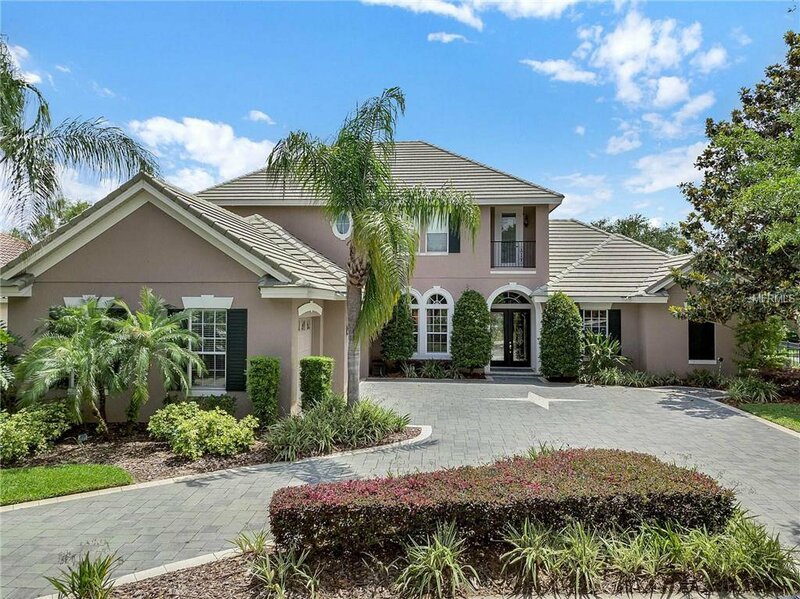 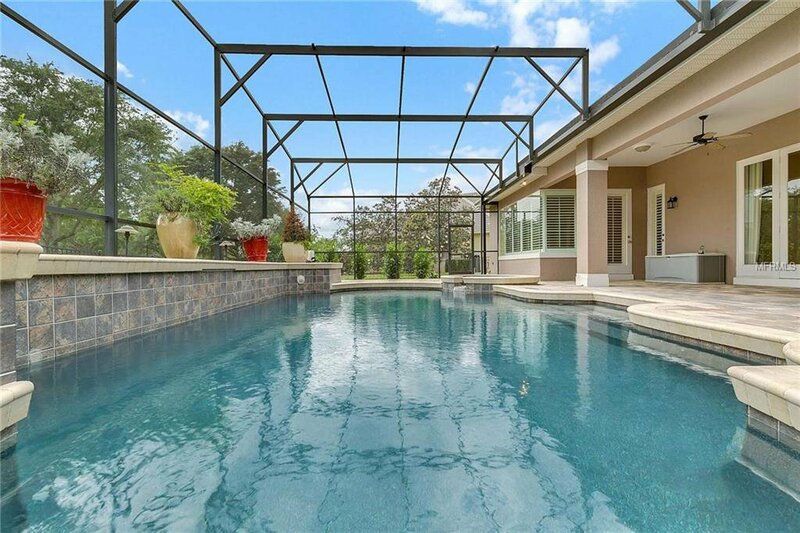 Guests are graciously welcomed to this distinctive residence featuring a dynamic design and exquisite landscaping in Seminole County’s premier Golf & Country Club of the “Reserve” at Heathrow. 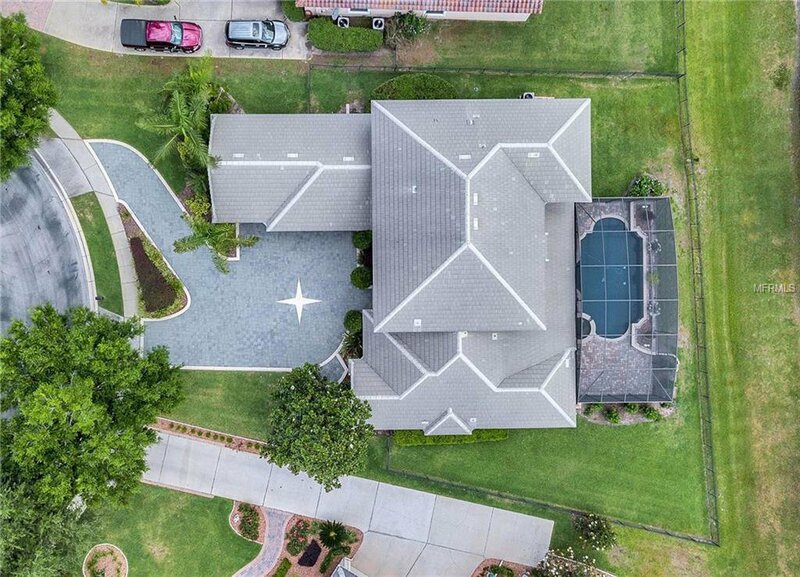 This quiet, tree lined street leads you to this well-appointed, custom designed showplace, built by Hill Crest Homes featuring 4BR/4BA which mirrors the homes in the pages of Architectural Digest. 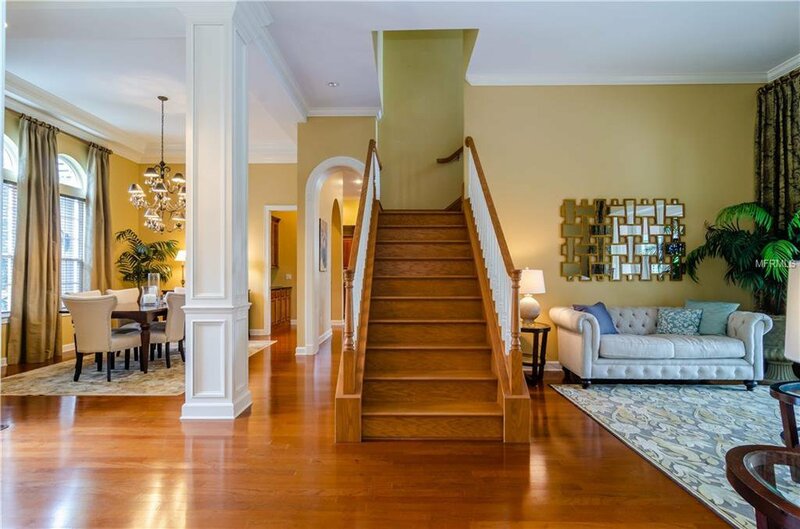 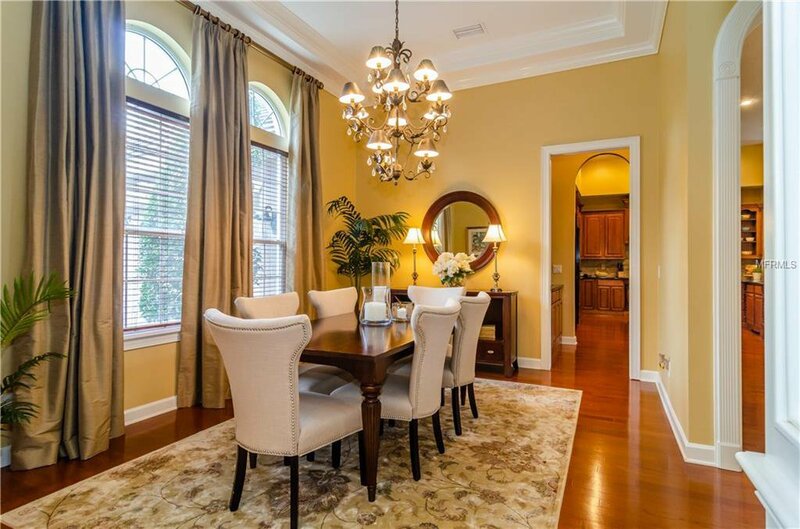 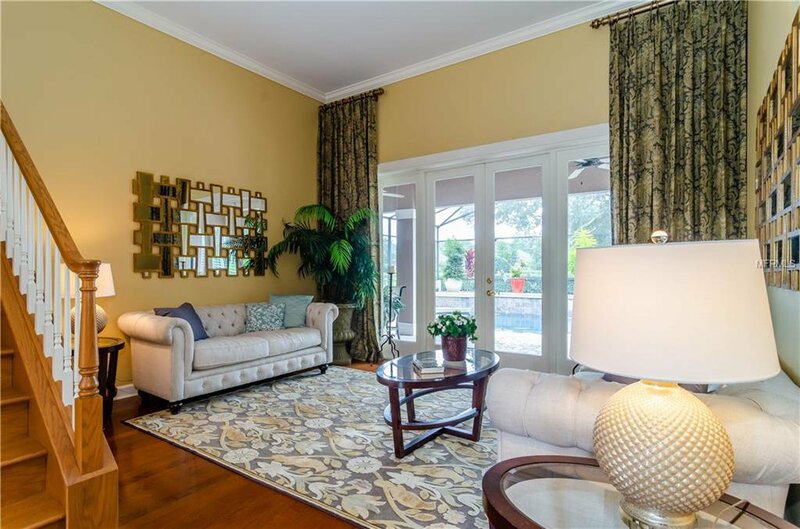 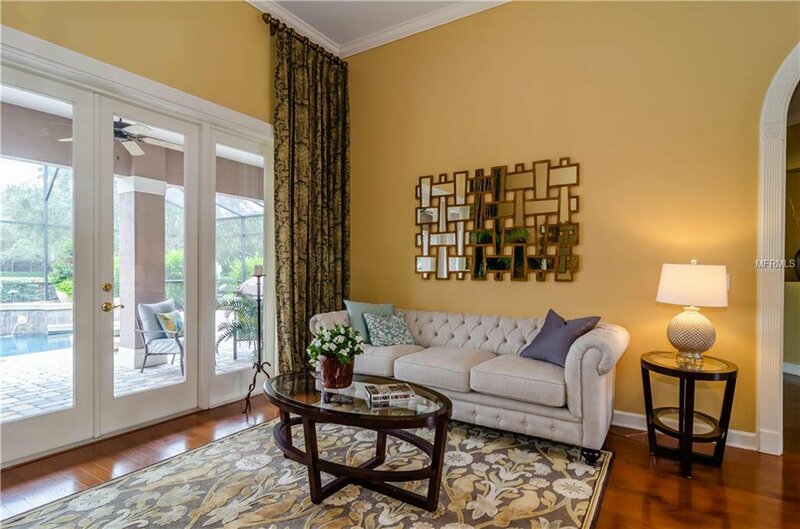 As you enter the stately Stained Glass Doors you will be welcomed by the formal dining room enhanced with custom millwork adjacent to the dining room lined with Bruce Cherry wood floors, classic window treatments as well as ceilings which are adorned with crown molding. 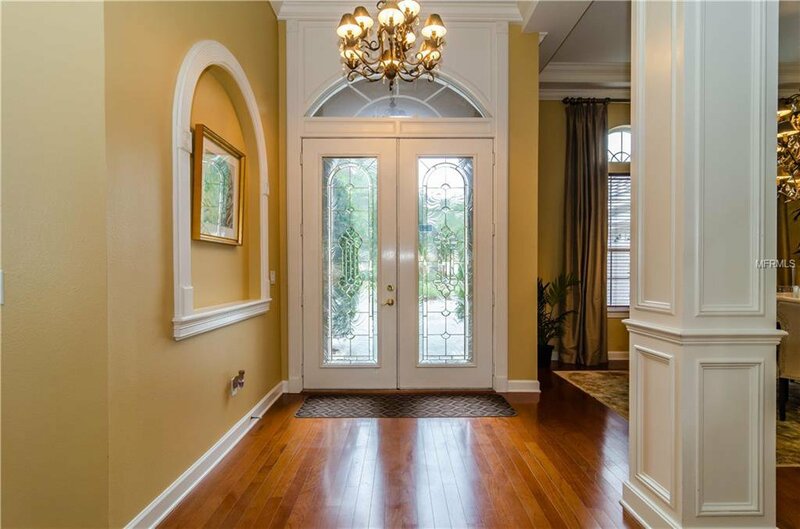 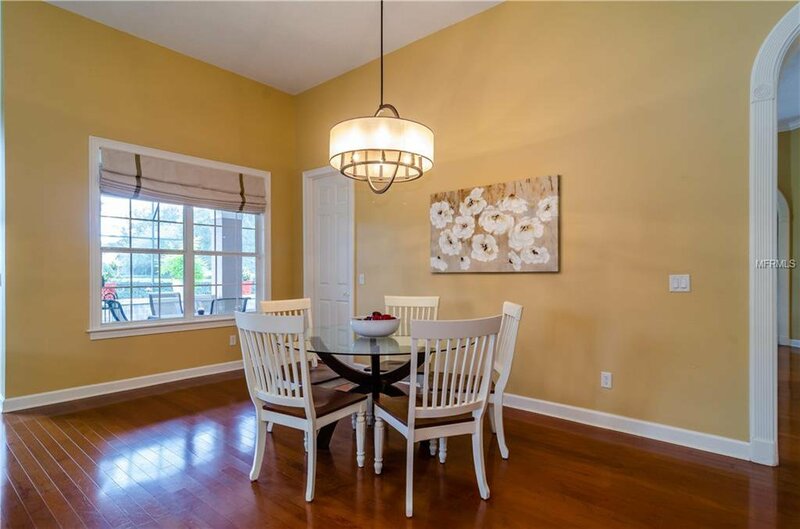 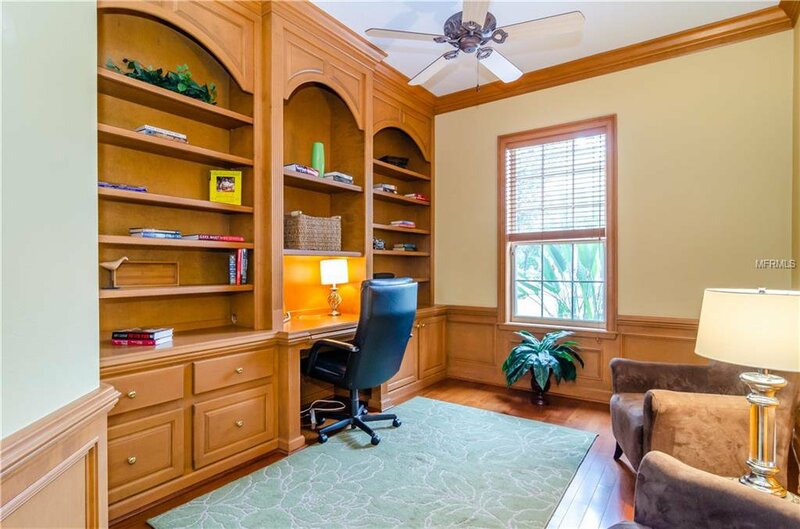 You will find the gorgeous arches, woodwork and millwork which enhance the natural beauty of the home. 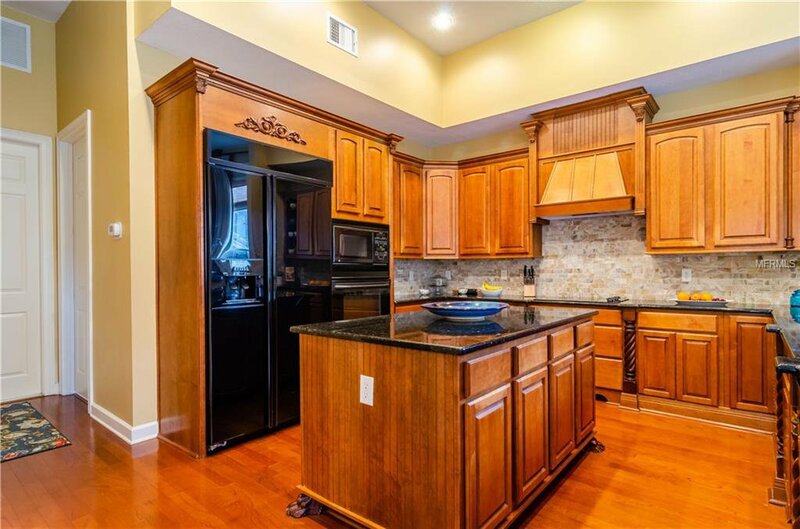 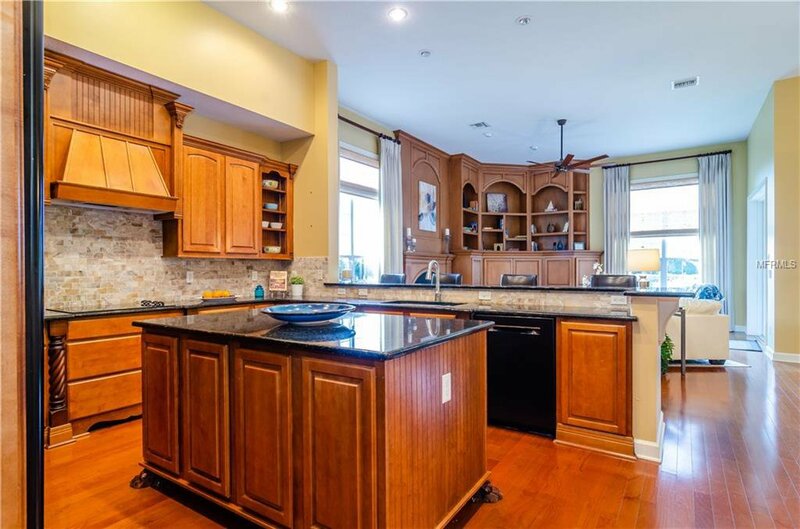 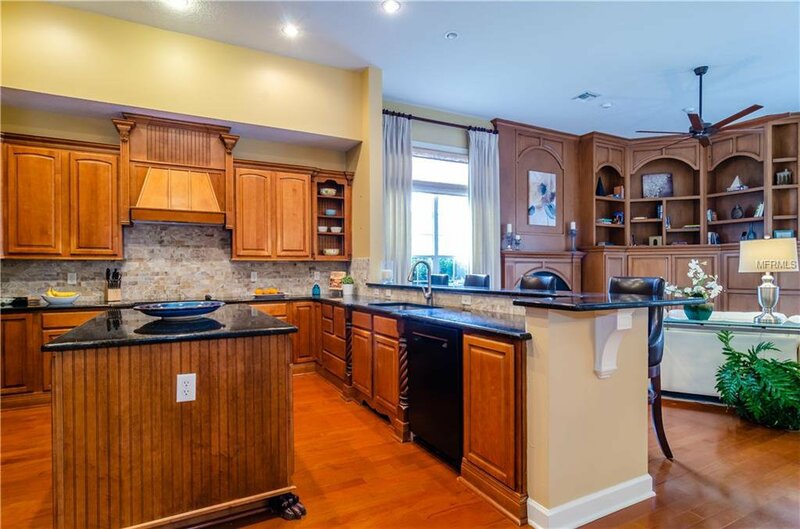 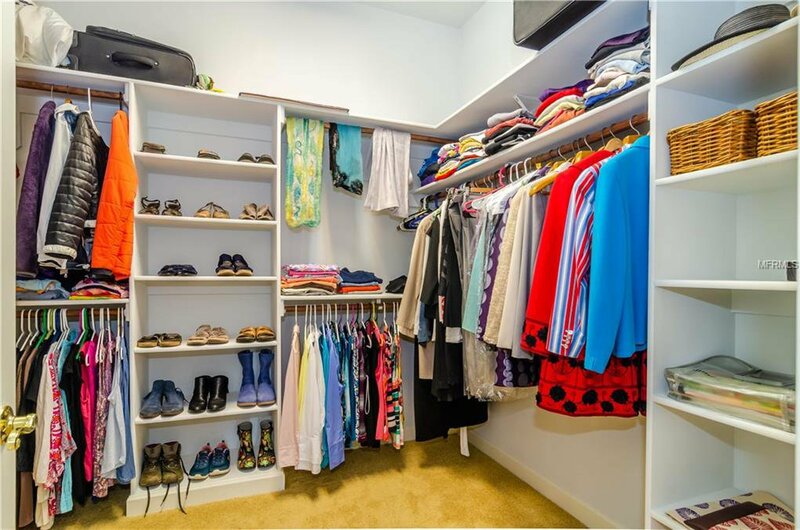 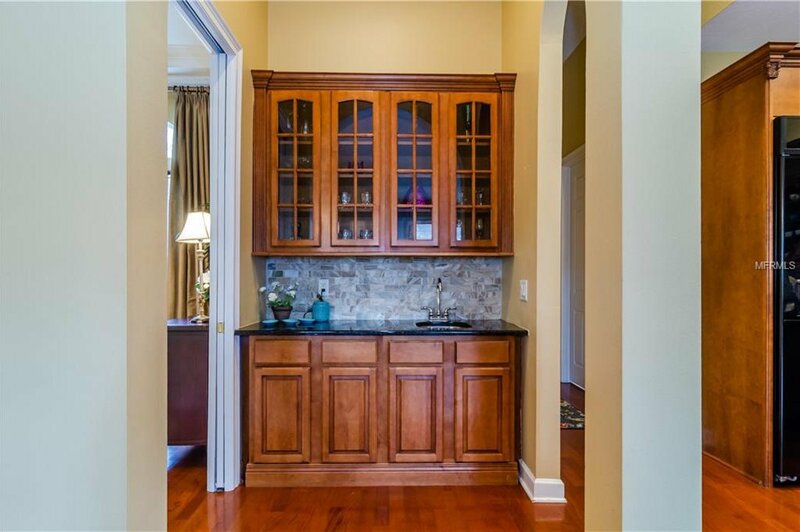 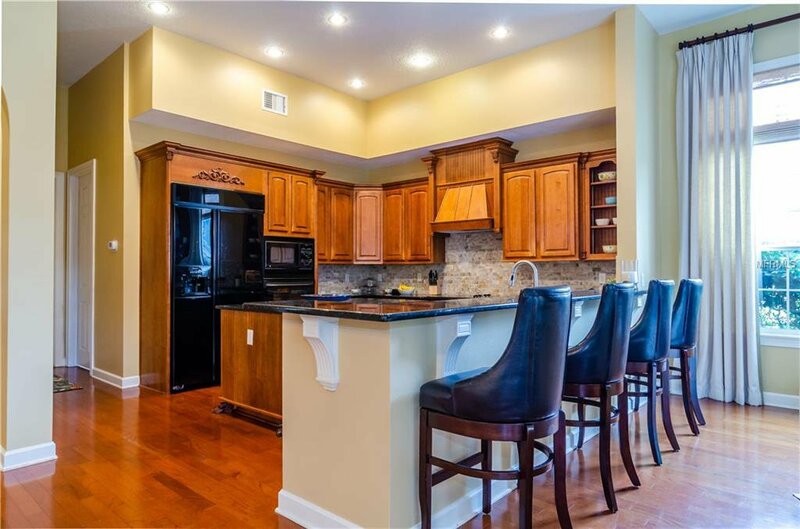 Step into the fully equipped, gourmet kitchen offering Mahogany cabinetry, gleaming black granite countertops, refreshment bar and walk in pantry. 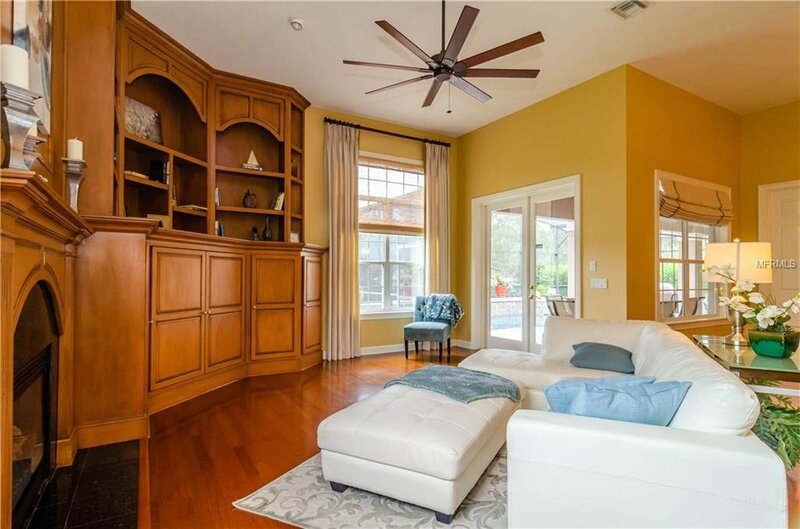 The spacious family room, which is open to the kitchen with soaring fourteen foot ceilings and media center adjacent to a cozy fireplace which adorns the room. 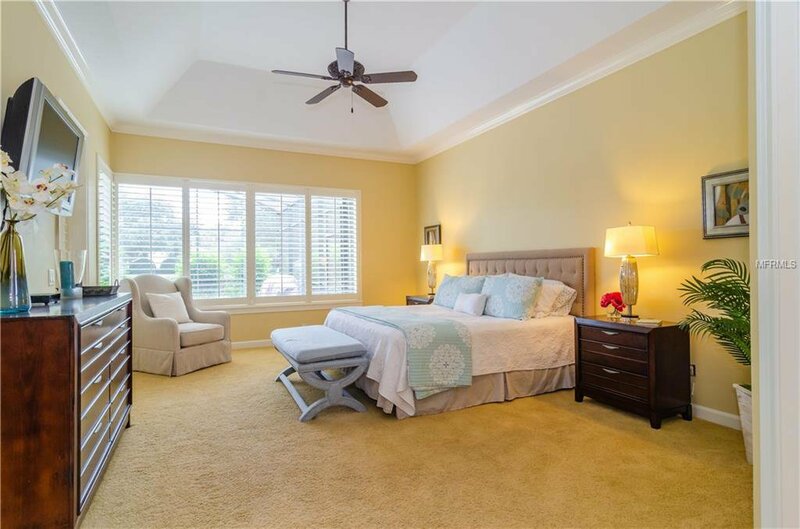 Wind down in the simplistic master retreat which provides a romantic sitting area with California Shutters which adorn the room. 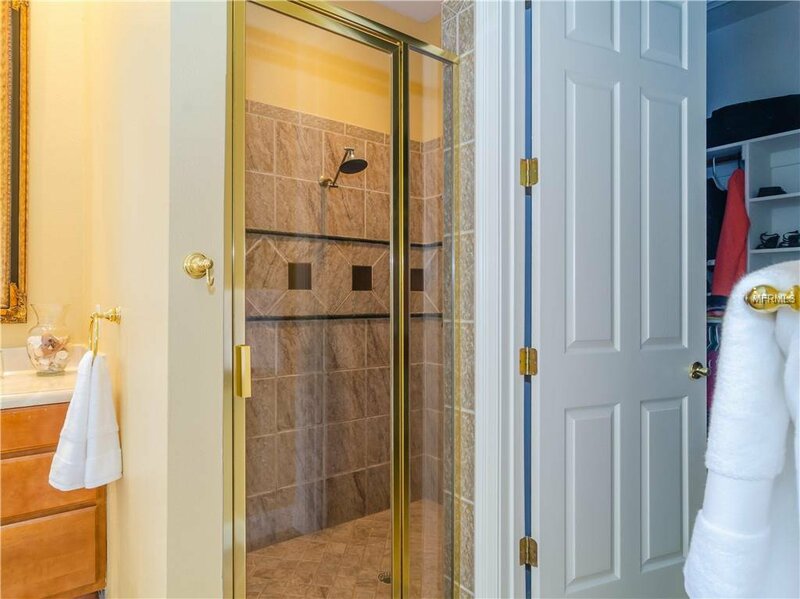 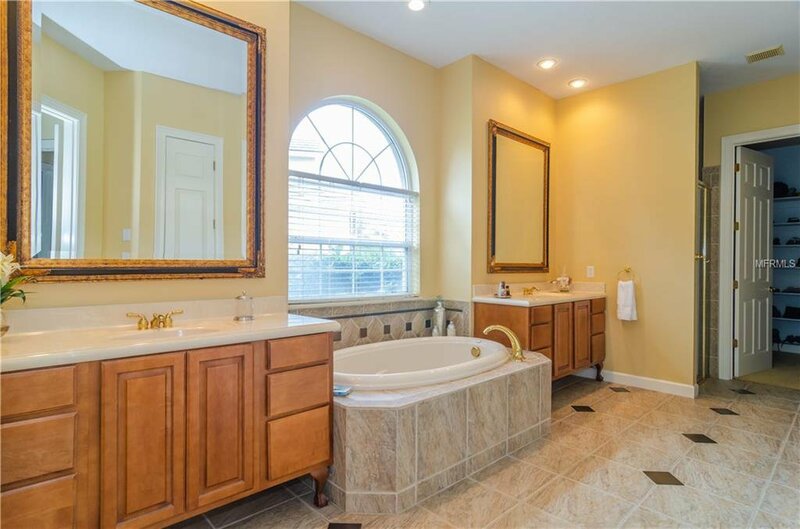 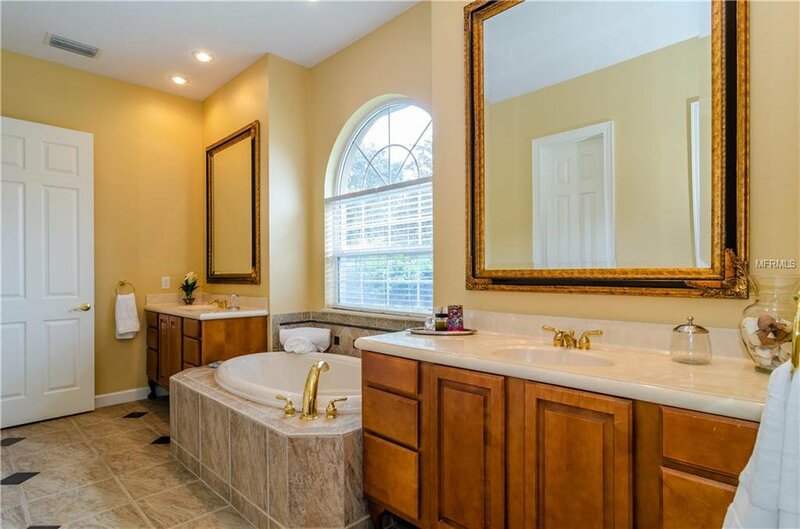 The master bath is relaxing with his and hers stylish vanities wrapped in marble accompanied by a sumptuous garden tub with a separate shower and two spacious walk in closet complete with organizers. 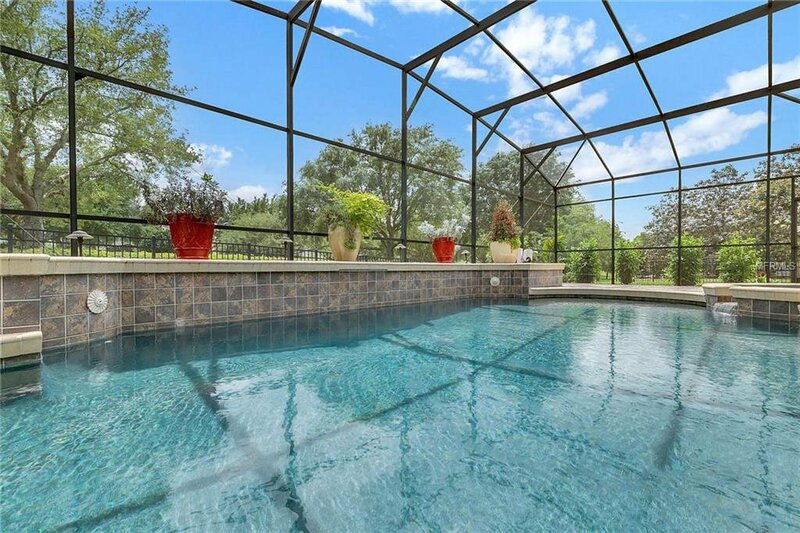 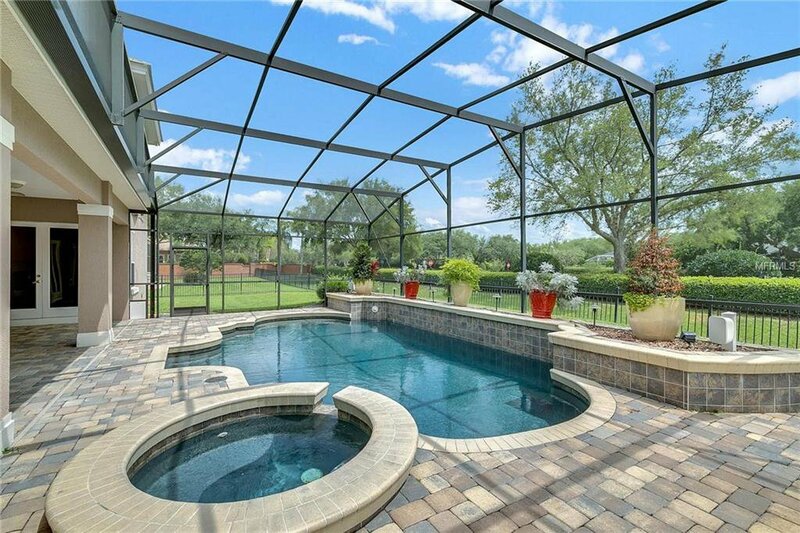 The outdoors include a breath-taking pool and spa surrounded by rich pavers.